The Photography auction market has gone from strength to strength since the downturn in 2009. The total auction sales of photography for Phillips, Sotheby’s and Christie’s came in at $50.7 million in 2013, up 36% from 2012. The increase in sales was partly driven by the Modern photography market, which saw sales increase by 22% from $18.7 million to $23 million. The Vintage photography market also contributed significantly to the positive trend and saw a 125% increase from $7.3 million to $16.4 million in the same period. Sales of Contemporary photography remained unchanged at $11.2 million between 2012 and 2013, and accounted for 22% share of the overall photography sales. The overall confidence in the Modern and Contemporary Photography market increased by 7% in the last 6 months, and currently stands at 75 (a reading above 50 implies that there is more positive sentiment among experts than negative). After a 38% jump in the Confidence Indicator between November 2011 and May 2012, the market confidence has risen by 9% in the last 12 months, signalling a continued positive outlook for the Modern and Contemporary Photography market. In terms of market direction for Modern Photography, the outlook remains the same as 6 months ago. 57% of the experts believe the Modern Photography market will go up further (versus 92% in November 2012). A further 43% think the market will remain unchanged (versus 8% in November 2012). None of the experts believe the Modern Photography market will fall in the first half of 2014. 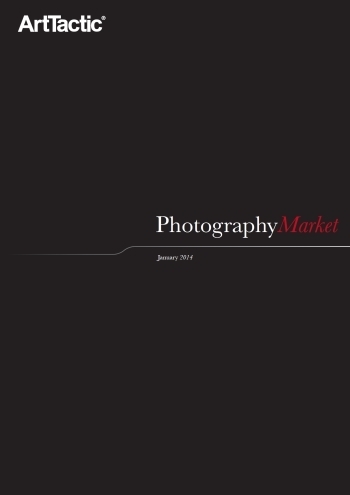 For the Contemporary Photography market, the outlook has improved from April 2013, with 41% (up from 33%) of the experts expecting the market to go up in the first half of 2014. Still, the majority of the experts (59%) expect the market to remain unchanged in the first half of 2014. The report includes individual artist analysis for William Eggleston, Richard Avedon, Helmut Newton, Diane Arbus, Josef Sudek, Peter Beard, Sally Mann, Hiroshi Sugimoto, Edward Burtynsky, Cindy Sherman and Andreas Gursky.